Counseling can be in several different formats; individual (one-on-one) counseling, couples (marriage, relationship or pre-marriage) counseling, adolescent counseling, child counseling (play therapy), group counseling, or family counseling. Below, you will find information of the various counseling formats so you can make an informed decision to choose which one may be best for you. If you aren’t sure which counseling format would be best for you, we can discuss it further to help you make that decision. Individual counseling provides the benefit of helping clients better manage symptoms of depression, anxiety, behavior patterns and self-destructive emotions that are negatively affecting the quality of their lives. This often results in returning to prior or improved levels of functioning in their lives and valued roles. These roles may be at work or school, at home as a parent or spouse, in valued relationships or in any other role valued by the client. 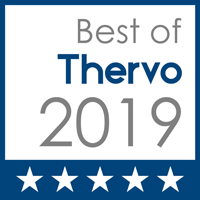 As a result, clients can experience an increase in a lasting sense of well being and self-efficacy, often having a greater confidence in their ability to resolve future problems of living that are a natural and recurring reality of life. Couples counseling is a form of relationship counseling or marriage counseling which addresses both married and non-married couples. The goal of couples counseling is to understand and process the relationship dynamic of the couple, and to identify the areas of tension and frustration, which adds stress to the relationship. In both couples sessions as well as a relationship group, the couple discovers their needs and wants of the relationship, their expectations and perceptions as well as what situations are causing them to feel hurt in the relationship. Adolescents enter counseling for many reasons. While the majority of adolescents enter counseling through the demand of the parents, adolescents have the same reservations as any adult. Brightside Counseling Services helps ease the adolescents mind by normalizing these thoughts about therapy. We help the adolescent find patterns within their behaviors and thoughts and develop strategies for addressing the problem(s). Many of the issues parents see which leads to therapy are acting out, social problems, divorce issues, academic issues, depression, anxiety, and relationship/family issues. Play therapy is when the therapist interacts with the child while playing a game, doing puzzles, playing make believe, and playing with toys. This allows the children to relax and “speak” in their own language, PLAY! Playing makes the child feel safe in a consequence free environment where they can say whatever they really feel. This will lead the therapist to find the root of their anger, depression, aggressiveness, or whatever the issue may be. Group provides a safe environment in which you can experiment with new behaviors, improve communication skills, and receive feedback from other members with similar concerns and interests. Participation in a group can help you make permanent changes that are desired to improve your life. Groups are a good place to receive and give the encouragement and support you need. Many people don’t realize that group counseling is an effective and affordable way to achieve counseling goals. 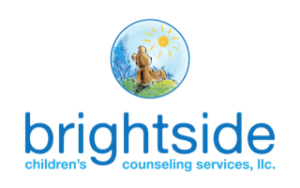 Brightside Counseling Services has many groups to meet your needs. Some groups focus on specific skills and themes while others provide support for specific groups of people. 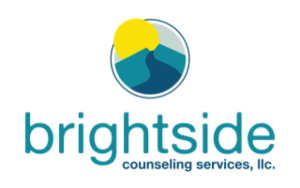 Most of the groups offered by Brightside Counseling Services require that you complete an initial intake session with one of the group leaders in order to carefully assess appropriateness of the group for your needs. Other groups are considered “drop-in groups” and don’t require an initial meeting prior. With all groups, we ask that you give us at least 24 hours notice if you cannot make a group. Most any problem an individual might experience, whether it be depression, adolescent behavior problems, anxiety, chronic illness, relationship problems, grief, loss or trauma, can benefit from having the support of a strong functioning family. The family is a powerful influence on each of its member’s development of self-worth and self-esteem. The relationships formed within our families become the building blocks of how we relate to the world around us. They become the essence of our being and help determining our thoughts and resulting behaviors. Relationships in the family can be the source of strength and motivation to the people within it. We all face challenges that may come along in life and having a supportive, understanding family is key. The family more than any other institution has the ability to shape a persons life by providing them with the attitudes, motivations and behaviors necessary to successfully resolve the difficulties of living.